BRANTFORD — One man is dead after police say he was assaulted late Friday night. 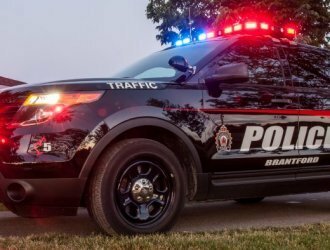 On April 5, 2019 at approximately 11:30pm the Brantford Police say they were called to a William Street address with reports of a male that had been assaulted. Police say the victim was taken to hospital without vital signs and was pronounced dead. The name of the deceased is being withheld pending notification of next of kin. Brantford Police Service are investigating the event as a homicide say and no further information will be released at this time.